/01. General /How to check which PHP version is used on a hosting? PHP 7.0 was released in 2015. The preprocessor was rewritten from scratch, which almost doubled the performance. This also fixed some old mistakes and vulnerabilities. A lot of CMS’s already support PHP 7, but there are applications that hasn’t been updated yet. So, here’s how you can check which version of PHP your hosting is using and change it. 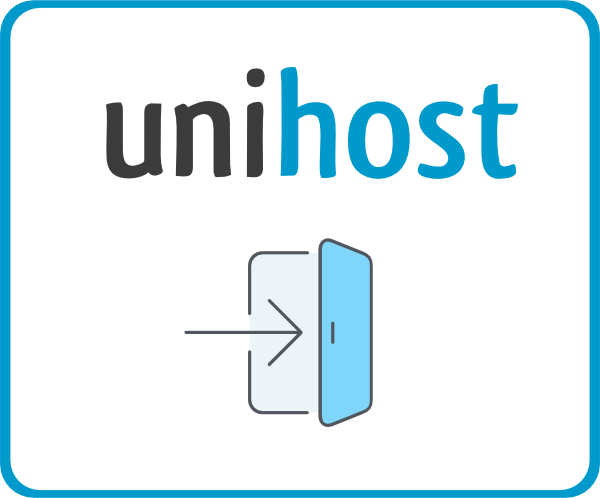 A hosting with cPanel or ISPmanager. Create a text document. 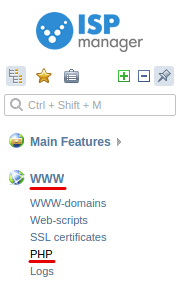 If your hosting is using cPanel, move it to public_html, if it is using ISPmanager, move it to www. Save the file and rename it to info.php. If you have cPanel installed on your hosting, you can check the PHP version via control panel. Under Software, click on Select PHP version. This will open a new page, on which you will see a current version of PHP. In order to switch to another one — choose it from the list and click Set as current. Also on this page you can turn on and off PHP modules. After you are done — click Save. If you have ISPmanager installed on your hosting, you can check the PHP version via the control panel. Under WWW, click on PHP. On the new page you will see current versions of PHP on your hosting. In this example there are two, because in order to process CGI we are using 5.3, while our Nginx server requires 5.4. 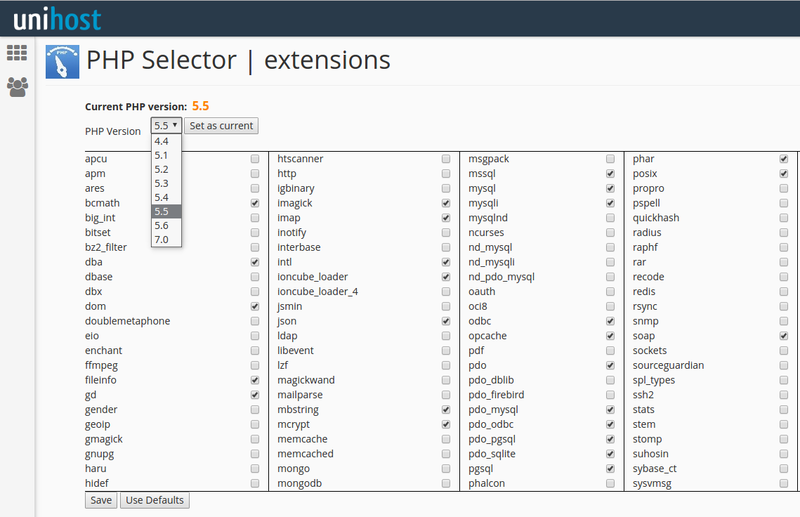 ISPmanager allows you to use different PHP versions for different system components. In order to change the PHP version, click on PHP version and choose another one. ISPmanager supports PHP 5.2-5.6. Versions 4.4, 5.1 and 7.0 are available in cPanel hosting. WARNING! Old PHP versions contain vulnerabilities, which can be used by hackers to access your hosting. You should not use PHP older than 5.4, unless there is no other way. 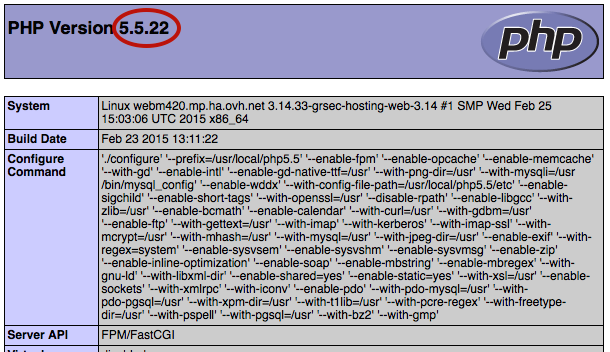 By default, Unihost hosting uses PHP 5.5. It is supported by all modern CMS’s and does not have major vulnerabilities. But if you truly care about safety — you should use PHP 7. It is faster and more safe, but is not as widely supported yet.